Tired of regular vinegar-oil salad dressings? Me too. Lately I've started blending salad dressings with my favorite vegetables and greens and I have to say it just made the whole salad eating experience way more fun. 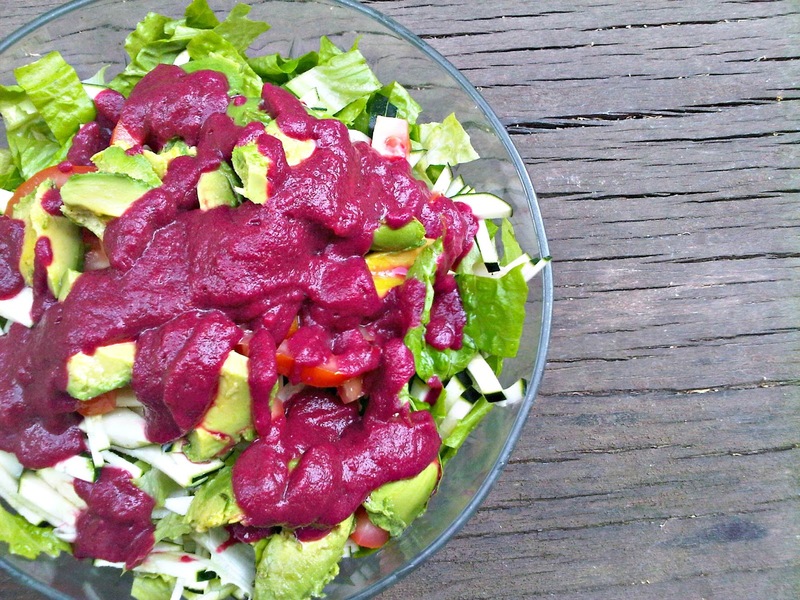 The first salad dressing I want to share with you is gorgeous purple dressing that is salt and oil free. Easy peasy, fast and tasty. Cut zucchini and tomatoes to chunks. Peel beet and cut to chunks. Place zucchini, tomatoes and beet in your blender. Squeeze lemon juice into the blender. blend until you get smooth texture. The salad in the pic is romaine lettuce, raw zucchini, tomatoes and avocado salad. That's it for now. Hope you liked this recipe and please feel free to share any thoughts and ideas on vegan awesome sauces you might have! 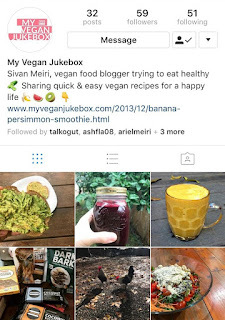 For more vegan inspiration please be sure to follow My Vegan Jukebox on Instagram, Facebook and Pinterest. I have lots and lots of ideas coming your way! I was looking for something to put on my salad since it was too dry to eat. Thanks for sharing the recipe for making this. This is going to help me eat faster. Eating salads is not easy when you are on dieting but you are actually a food lover. So it is better to make the salad tasty and this one a good recipe for tasty salad.